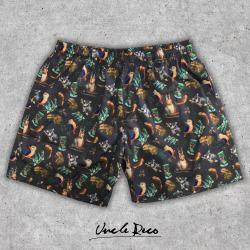 Uncle Reco makes only the best unique printed, t-shirts, singlets, sweatshirts, headwear, shorts and more. Our unique style is unlike anything else in the Australian streetwear market. With a huge social following on Instagram and Facebook be sure to follow us for updates and new products being released daily.